We start with a comprehensive assessment of your leadership style and the activities that drive you to succeed — this, before you even walk in the door. The result is a personal leadership profile that identifies the qualities and activities that energize you as a leader. We spend the first day in the classroom. You'll discover why some leadership activities energize you, while others drain you. You'll also discover the power of defining and using your own personal leadership philosophy as a leadership tool. Lastly, we'll spend some time preparing for the adventure of the next two days. 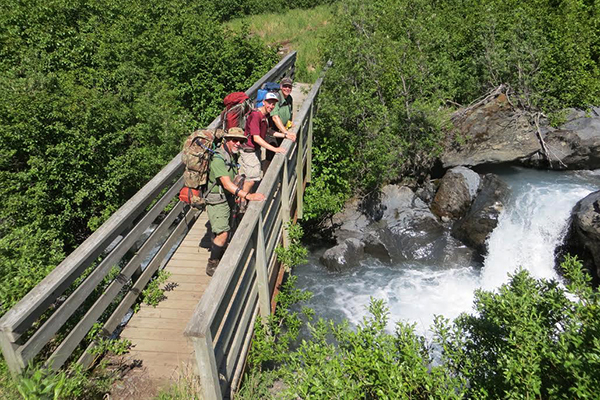 On days two and three, we'll hit the trail for an overnight backpacking adventure in the breathtaking Chugach Mountains. (The hike we choose will be based on the weather forecast and physical fitness level of your team.) Along the way, we'll continue our discussion of leadership temperament, leadership philosophy, and communication. On Day Four, we'll return to the classroom for a half-day debrief, wrap-up and graduation, and finish by noon. You'll return to your organization with new insights and an action plan for putting what you've learned into practice immediately. Your facilitator will provide follow-up coaching for 90 days, providing added accountability and practical training to implement your performance plans and see real results for your organization. 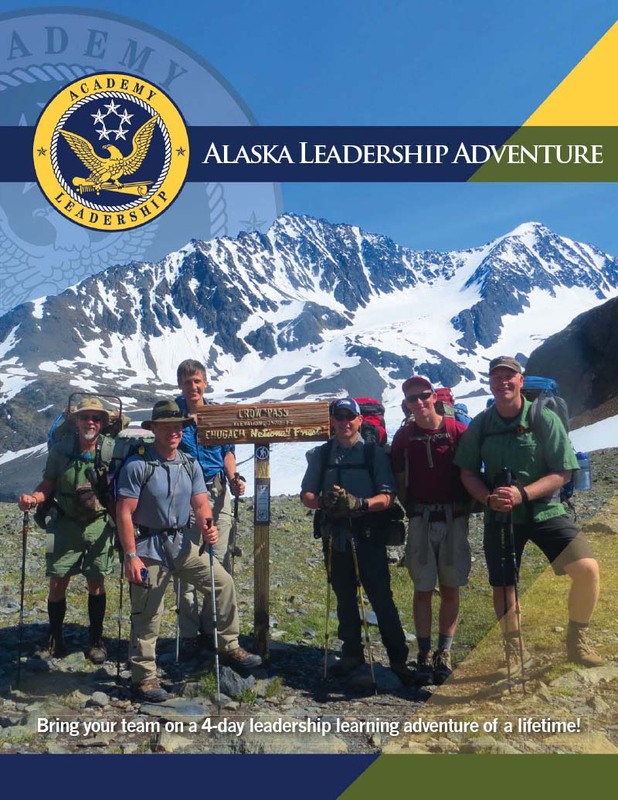 Participants are responsible for arranging their own lodging in Anchorage on the evenings of Day One and Day Three. You may also need to reserve lodging for evenings before and after the course, depending on when you arrive. 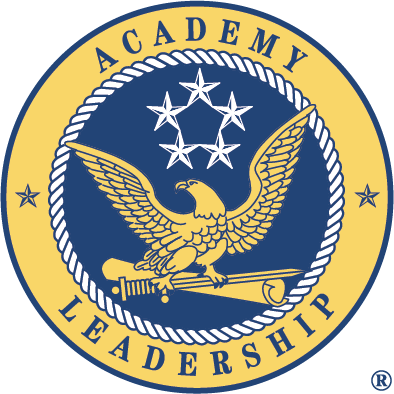 Academy Leadership can provide a list of hotels near the classroom site. We recommend making hotel reservations as early as possible, as hotels in Anchorage tend to fill up in summer months. Our overnight hikes require carrying a backpack weighing up to 30 pounds. Participants are responsible for being in reasonably good physical condition when they arrive. (Shorter, easier trips are available if not everyone in the group is in shape for the longer hikes.) It is also critical to have well-broken-in hiking boots, as blisters can make the trek unpleasant. The trek will go rain or shine, so proper clothing is very important. We will provide you with a recommended list of items that you are responsible for bringing on the backpacking trip.